As of April 19, 2019, Amazon has not cancelled or renewed Fortitude for season three, but on January 25, 2018, Sky Atlantic announced a third and final season renewal. Will Amazon do the same? Stay tuned for further updates. Fortitude is one of the most Brilliantly written and paced shows, with Excellent Cinematography and perfect casting. The idea that disease and dangerous parasites long frozen in the ice of the Arctic coming alive as the planet warms and having devastating consequences to Humans – is a very plausible and definite possibility. Renew – Renew Renew. Season 3 please. please continue this fantastic show! it is such a great story line and keeps me on the edge of my seat with its unexpected twists and turns! love the actors they become friends when I watch! I don’t like alot of tv show so this is high praise. in my opinion… this is a must watch show and it needs to continue for many more seasons! awesome show! Get rid of Dennis Quaid. No mainstream Hollywood please. Please here to add a comment. (Note: spam, name-calling, and personal attack comments will be deleted. )Really I loved Dennis Quaid in this show he was great. To tell you the truth he is the main reason I started watching it I was going through shows and I saw him. 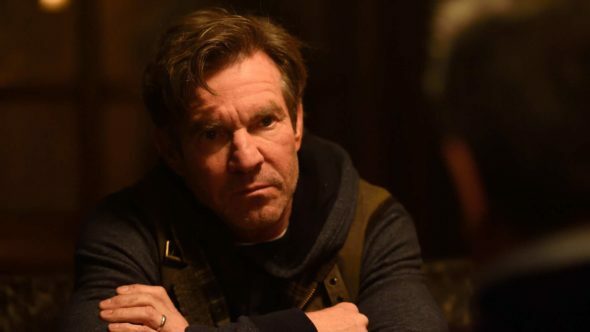 Please keep Dennis Quaid he did a great job love him in Fortitude!!!!!! Please renew Fortitude. We love this show. Itisone of the most amazing pieces of tv literature I’ve seen. It is beautifully written, shot, and acted. I LOVE this show. It is so mysterious. The location is beautiful and the characters are interesting. The writing is great and I appreciate the touches of inappropriate humor. pleeeeeez produce season 3!!! This is the best series on…the scenery is stunning. The cast is intriguing. I am a fan…please make season 3! Fantastic show with great acting and writing. Please keep more shows coming. This is one of the best new series and it would be tragic to leave us hanging. Loved this show I hope there will be a season 3. At least one more season.. Please renew. It’s been a brilliant show. Please let there be a season 3 of Fortitude! So many questions still remain unanswered. Please Sky Atlantic & Amazon Prime.